1. Login to your Google Plus account. 2. 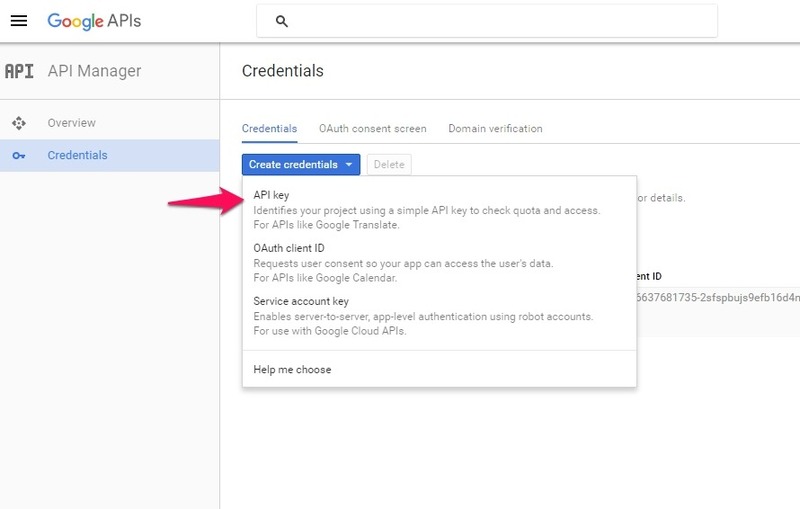 Go to Google Plus >> Create Credentials >> Click on API key. 6. Copy the Client ID & Client Secret. 8. Now under the ENABLED/AUTH tab, you can enter your Google Plus’s Client ID and Client Secret .You also have an option to either publish or unpublish it. 9. Click on Authorize App button. 10. Click on Apply button to apply the changes. 11. Click on “Allow” to grant access when one pop up display. 12. Click on Save & Close button. b) Display public profile enables profile to contract field matching. b) Horizontal with text and Vertical with text. 14. Click on Apply button to apply the changes. 15. Under the “CONTACT MAPPING” fill the integration field and Aritic fields details. 16. Click on Apply button to apply the changes. 17. Click on Save & Close button to save all the information and go back to the previous screen.